The United States believes that it must not only have the ability to repel an attack and defeat potential aggressors, but also stop any perceived foe it believes intends to attack the United States. This is how the Pentagon, in a statement, explained why the US has the right to launch a preemptive nuclear strike. This danger should not be exaggerated. It is quite obvious that here we are not talking about launching an attack against China, and certainly not Russia, writes Pavel Zolotaryov, Deputy Director at the RAS Institute of USA and Canada. The United States has never denied the world’s tendency to become multipolar, but has established the goal of maintaining its leadership in this multipolar world. In the 1997 Quadrennial Defence Review, the United States set a goal of maintaining its global leadership until at least 2015, arguing that by doing otherwise, the world would face a high level of instability. In Donald Trump’s National Security Strategy, two rivals or competitors are clearly identified - China (primarily) and Russia. However, at the same time, it is emphasised that this does not mean it’s inevitable that relations will be confrontational in nature. China and Russia are considered sources of challenges for the United States, not threats. The threats include North Korea, Iran (which is assumed to have nuclear ambitions), international terrorists and criminal organisations. The Pentagon’s statement on the right of the United States to launch a pre-emptive nuclear strike is not about the fact that the United States has many opponents, but that there are many sources of possible challenges and threats. In the latest doctrinal documents adopted by the Trump administration, a perfectly correct focus is placed on the problem of regional instability. This is a natural process inherent in a multipolar world. Another point is that the US is exaggerating the role of Russia in the regional threats that emerge. If you look objectively at the existing weapons control systems, it will become obvious that it showed its ineffectiveness after the end of the Cold War. During the Cold War, the superpowers managed to stop the proliferation of nuclear weapons, and after it ended, we got three new states with nuclear weapons. In my opinion, the reason for the current situation is that the existing control system is based on the bilateral Russian-American format, on establishing strategic stability that is based on the guaranteed mutual destruction of Russia and the United States. This cannot serve as a foundation for a multilateral arms control regime. The START-3 Treaty is based on changing rules for the calculation of warheads on delivery aircraft, and not on real arms reduction. START-3 confirmed the mutual unwillingness to implement a real reduction of strategic weaponry. The fate of the INF Treaty in fact underlines the mutual need for missiles of this class, which are necessary for deterrence at the regional levels (both nuclear and non-nuclear deterrence). Reciprocal accusations arise from a series of political dances in the process of intentions implementation to satisfy the arisen needs. But such dances are dangerous. Trump's Nuclear Review is strongly focused on regional nuclear deterrence. At the same time, nuclear deterrence is used to address a wide range of non-nuclear threats. This contradicts the declared intentions of potentially developing non-nuclear deterrence. It is possible that in practice the non-nuclear deterrence potential will be developed (including medium- and shorter-range missiles with conventional warheads). 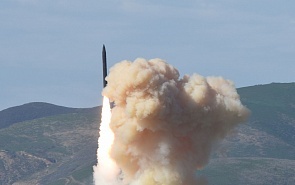 But even in this case, the US will retain an element of nuclear deterrence at the regional level. We must keep in mind that the United States proceeds from the fact that it should not only have the ability to repel an attack and defeat the aggressor, but also to prevent any group that intends to attack the United States. From here follows the statement of the Pentagon about the right to a preemptive nuclear strike. But it is not worth exaggerating the danger. It is quite obvious, that in this case we are not talking about actions against China or especially Russia. ﻿The United States believes that it must not only have the ability to repel an attack and defeat potential aggressors, but also stop any perceived foe it believes intends to attack the United States.